Specific Gravity is the ratio of the weight of a given volume of a material in air at a standard temperature to the weight in air of an equal volume of distilled water at the same temperature. Pycnometers can be used to test a wide range of materials from clay to sand and gravel, smaller than 10mm. 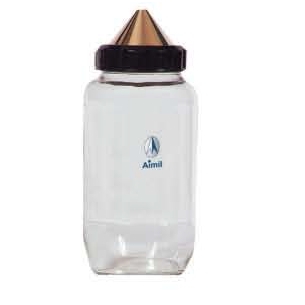 Consists of a 1kg glass jar with brass cone, locking ring and rubber seal.